Will my skin soak up the calories in skin cream? Given that a normal sized person, a grown up person, has a skin surface area of maybe 2 square metres and given that we're about 70% made up of water on the inside, we would lose a lot of water across the skin if it didn't perform efficiently as a protected barrier. It carries out this remarkable feat primarily through a very thin specialised layer, the stratum corneum. This layer on most parts of the body is only 1/100th mm thick. Under the microscope, stratum corneum looks a little bit like a brick wall. The bricks are the skin cells. All the bricks can take out water, the lipids filling the spaces between them provide an oily film into which water transfers reluctantly. Remember that old adage that water and oil don't mix. So, what happens when we apply oil-based creams to our face to provide some moisturisation during cold dry winters? 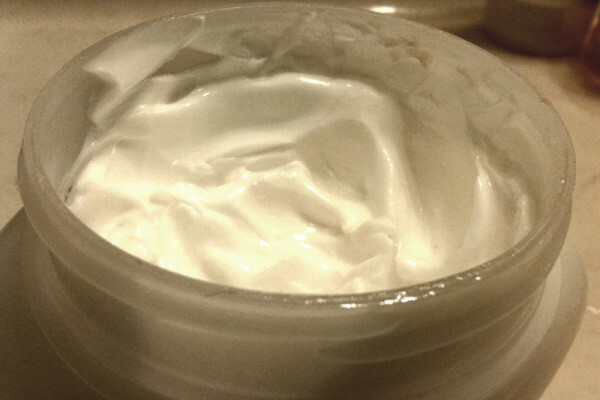 Is the oil or fat in the cream absorbed into the body making us put on weight? Well, the short answer is no. Not to any extent that you would notice around your waistline. The function of the oily part of moisturising creams is to reinforce the lipids in the stratum corneum and to make it even more difficult for water escape. But where do the oils of the fats go in the end? Well, they mix in with the natural lipids of the stratum corneum and some may well move gradually into the deeper layers of this thin barrier. But once on the other side, they encounter an environment which is very watery. In oily substance, this is not an attractive place and therefore, fat transfer out of the stratum corneum will be very slow and unfavourable. Previous Are robots the best way to study deep sea environments? Next Could genetically engineered humans drink seawater?